Let’s start with some history on the Bofors scandal, which remains till date one of the biggest scandals in Indian politics. 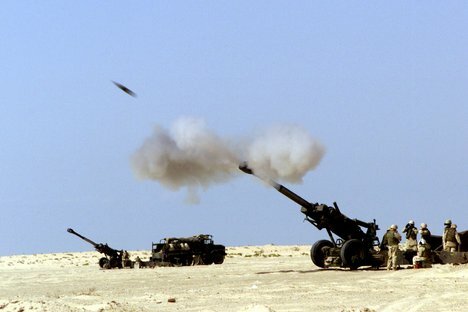 It all started when India decided to purchase 400; 155mm Howitzers (fancy word for really-big-kickass-gun) from Swedish company Bofors AB for $1.4 billion in 1986. In 1987 the then Prime Minister Rajiv Gandhi and several others were accused of receiving kickbacks for this deal. The case came to light during Vishwanath Pratap Singh’s tenure as defense minister, and was revealed through investigative journalism by Chitra Subramaniam and N. Ram of the newspapers the Indian Express and The Hindu. Ottavio Quattrochi was a businessman close to the Gandhi family and a prominent man in the hallowed passages of Indian government. His name came up as the middleman in this deal. The Bofors scandal was huge. Rajiv Gandhi lost the 1989 elections due to the backlash of these allegations. Other accused included the Hinduja brothers and Win Chaddha, an agent of the Bofors Company. Chaddha died in 2001. Gandhi was assassinated in 1991, and was cleared of the corruption charges against him in 2004. In 2005, the charges against the Hinduja brothers were dismissed by the Delhi High court. The Wikipedia page on Quattrochi throws up some interesting information about the amount of clout he used to enjoy. It is alleged Quattrocchi was so influential with the office of the prime minister — Rajiv Gandhi — that bureaucrats used to stand up when Quattrocchi visited them. In 2002 a Malaysian court refused extraditing Quattrochi to India, observing that the offenses alleged against him were open to doubt. Dismissing India’s review petition for his extradition, Justice Augustine Paul of Kuala Lumpur High Court upheld the Sessions Court verdict earlier this month throwing out the extradition case on the ground that the descriptions of the offenses in the requisition papers were “insufficient, vague and ambiguous.” While discharging Quattrocchi unconditionally, the Sessions Court on December 2 had also ordered return of his passport and the bail. Quattrochi was arrested in Argentina in February 2007. However, as there was no extradition treaty between India and Argentina, this case was presented in the Argentine Supreme Court. The government of India lost the extradition case as the government of India did not provide a key court order which was the basis of Quattrochi’s arrest. In the aftermath, the government did not appeal this decision owing delays in securing an official English translation of the court’s decision. The Italian businessman no longer figures in the CBI’s list of wanted persons and the 12-year Interpol red corner notice against the lone surviving suspect in the Bofors payoff case has been withdrawn from the agency’s website after the CBI’s appeal. The CBI had the option of appealing to a higher court, but it failed to get a clearance from the center. I wonder why that would be.